The immigration process at Kiev’s airports (Boryspil and Kyiv International) is relatively fast and efficient. The slow queues and awkward questions of the past are no longer par for the course. Most officials speak a little English. We are a travel website and provide advice for tourists only. We do not provide information for those seeking long-term residence in Ukraine. The relevant rules are complicated and require the advice of a professional immigration consultant. Please do not ask questions about long-term residence in the comments section. They will not be approved or answered. If you notice that any information has changed please let us know by leaving a comment at the end of this article. Citizens of many countries no longer need a visa to enter Ukraine for short visits. Officially you are supposed to be able to provide proof of health insurance and evidence that you have the financial resources to support yourself throughout your stay. Practically, we’ve never been asked. Stay in Ukraine for 3 months but, if they do, will have wait another 3 months before being allowed back. Stay alternate months. Many people with business and personal interests in Ukraine do this in order to avoid the red tape associated with obtaining a long-term visa. Until fairly recently Ukrainian border officials didn’t check whether people were adhering to the 90/180 day rule. Effectively this meant that EU citizens (and others) could stay in Ukraine more or less permanently, just by exiting and re-entering the country every 90 days. This situation is no longer the case. Immigration officials now make checks to see whether visitors have violated the 90 days within 180 days rule. Citizens of many countries are subject to the same visa regulations as EU citizens and can also stay for 90 days in any 180 day period. Such countries include Canada, Iceland, Japan, Norway, Switzerland, and the USA. See the table at the end of the page for a complete list. Citizens of a handful of countries have no travel restrictions at all. These include Armenia, Azerbaijan, Belarus, Georgia, Moldova, Russia, and Uzbekistan. According to the Ministry of Foreign Affairs of Ukraine website, Russian citizens also benefit from no travel restrictions. However, Timatic states that they are subject to the 90 days out of 180 day rule. Timatic is the database used by airlines to determine whether a passenger is compliant with immigration regulations and can be carried. Citizens of countries such as Serbia have special rules. See the table at the end of the page for a complete list. Citizens of all other countries need to obtain a visa. This includes citizens of Australia and New Zealand. The online visa application form can be found here (let us know in the comments if this link changes). Although citizens of many countries need a visa, the process is somewhat simplified for certain nationalities. Some nationalities can obtain a short-term single entry visa on arrival at several airports, including Boryspil and Kyiv International. For more information check this page on the Ministry of Foreign Affairs of Ukraine website (please let us know in the comments if this link changes). The table below summarises the visa requirements for citizens of many nations. 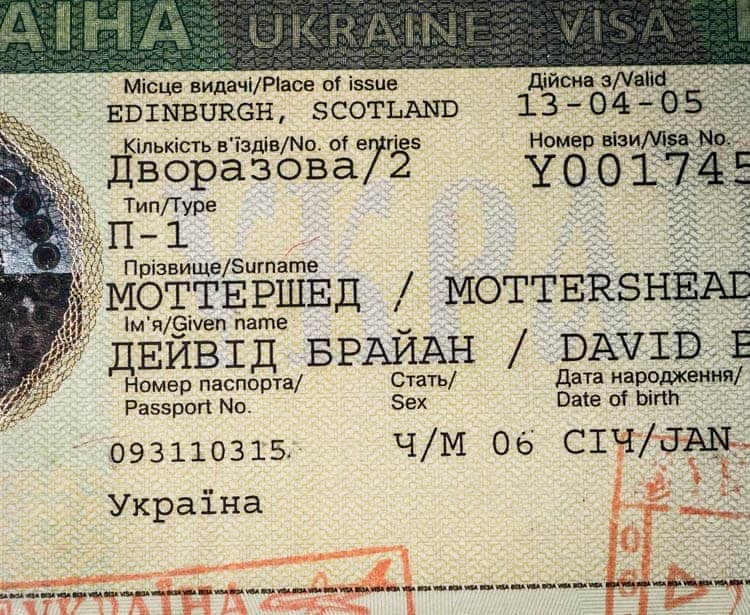 Visa information below was obtained from the official Ministry of Foreign Affairs of Ukraine website on March 1, 2019 . We update the rules as often as we can but would advise you to double check on the official website before making any travel plans. I worked and stayed in Ukraine for 8 months. It is an amazing country full of friendly people and beautiful landscapes. You feel like you are at home. Frankly speaking I would love to go there again and might stay there. I want to visit to Ukraine for 4-5 days. I am an Indian and staying in Poland. Kindly give me directions to how can I get visa for Ukraine. I live in Sri Lanka and want to live in a difficult country. It is my dream to live in Ukraine. I want life in Ukraine. I’m ready to burn my right passport for life in Ukraine. I do not want to live in my country. I would like to know if Sri Lankan citizens can get a visa at the airport or do they need a visa before they fly? Do I need to apply for the visa before entry or I can get visa on arrival? I am a Bangladeshi passport holder. Can you please explain and where I get the visa and which documents I submit? I am interested in going to Ukraine for longer periods than 90 days. I can’t find any information that speaks of how to do that. What type of visa to I need to apply for? Hi, I am from india, and i want to travel to Ukraine as tourist. I applied this year in July and I got rejected because the purpose of stay was not confirmed. I got a rejection stamp in my fresh passport. I am applying again. Can you please tell me will I get the tourist visa this time? I am a geniune traveller. I am a US citizen recently denied entry into Ukraine as I could not confirm the purpose of my visit. Have never been required to provide this information before or subjected to such questions. Be prepared for these strange questions and lack of response from border officials. Saddens me to be turned away from a country I so love and have visited before. I am a Pakistani living in Dubai. I am coming from Europe to Dubai and I wish to stay 2 nights in Kiev city. I have Europe and USA valid visa. Please let me know if I can get a visa on arrival. I need to visit Ukraine? I have Schengen Visa, so do i need to apply for the ukraine visa. or Schengen Visa will do? You will need to apply for a visa. I’m Egyptian and holding an ordinary passport. I’m looking to visit Kiev for tourism for a maximum of 8 days. What do I do to obtain the visa? I am Lebanese (holding a Lebanese passport) and a valid French Titre de Sejour (French residence permit) till 2019. If I wish to visit Ukraine, do I need a visa? Or will my Titre de Sejour allow me to enter with no visa? I am a Pakistani man, married with a Ukrainian lady who were 1 year child when came in Pakistan along with her Ukrainian mother. She didn’t have own passport while she was one year old so her name was only mentioned in her mother passport when arrived in Pakistan. Now my wife is about 23 years old and we have a 1 year kid too. Her mother intended to go back to her motherland (Ukraine). Embassy of Ukraine in Pakistan allows her mother along with my wife but restrict to put the name of my 1 year child and argued that the mother of the child were a child herself when came in Pakistan so she wasn’t had own passport where we may mention the name of your children. So you have to leave the child in Pakistan and let the both mother and grandmother to go their homeland although they knew a 1 year of child couldn’t stay in Pakistan without her mother. We have requested a lot but they don’t give any solution and insist to leave the child alone in Pakistan and let the rest of family go Ukraine to make their documents first although it’s common that an embassy may have the authority to issue and renew passports to the citizen living abroad. If you people have any suggestion then kindly forward, as we don’t know where to appeal or put our case forward. I am Indian and I want to visit Ukraine, Kiev for 10 days. I know I can get visa on arrival but what all documents do I have to show the immigration officer to be accepted to get visa? I will have return ticket and hotel booking. Anything else needed? How do I apply for a visa, when there is no Ukrainian embassy close by . I am a missionary in Yap, Micronesia. I am a South African. I will be in transit in Kiev in Dec 2017. If there is a reason for a delay, I don’t want to have to stay at the airport. Do I need a visa to go to a nearby hotel? I am married to a British Citizen. I have a Ukraine temporary resident permit. Do I need a visa to enter Denmark? You didn’t clearify how many months other countries that needed visa can stay. Secondly, can I renew my visa before expiration, while inside Ukraine. Finally,is there any provision for any foreigner that has visit visa to work. I am Libyan and I am planning to visit Ukraine and I have a Schengen visa. Hi, I am from Egypt and already have a multiple entry visa to Ukraine for 90 days throughout 180 days. Can I apply for another short stay visa after I finish the 90 days while I am in Ukraine or do I have to go outside the country and apply for another visa? I am transiting through Kiev, from Prague going to Dubai. Do I still need a visa? Is it true that they’ve stopped stamping EU passports at Boryspil? Had a junior border guard tell me this, saying that it’s connected to the dedicated lanes for Ukrainian and EU citizens being introduced. Just came through the airport in January 2017. They stamped my British passport on entry and exit. What is the penalty for overstaying the 90 day limit? A fine of about $80. Can be paid at the airport. Arrive well in advance in this case. The border control officer when you go through will turn you back. You will be given a paper to sign and go and pay. Once paid the fine, you go through the officer again. Done that in 2014 after overstating for over a year. I am a resident in the UK holding a UK travel document. I am aware that I need a visa to enter Ukraine. I have already discussed the case with Ukrainian consulate in London, I was told that I need visa support plus two tickets for sight seeings or events in Ukraine.so please let me know If you can provide the visa support including your fees. I’m transiting through Kiev, from Sweden going to Dubai. Do I still need a visa? I am a Sierra Leone national. I want to travel to Ukraine. But someone told me that Sierra Leone nationals are not allow to enter Ukraine. And what is the reason? 1. Do Hondurans citizens need transit visas for a stay of 24 hours in Ukraine? 2. If yes, what are the requirements of a transit visa? 3. If not, can I go of the airport to see the city for 24 hours? I am a USA born citizen. What do I have to do to move to Ukraine permanently? The easiest way is to find yourself a Ukrainian bride ???? Joe, you should obtain a temporary or permanent residence permit at first. You need permission for permanent residence in Ukraine. If you want to work in Ukraine, you also need a work permit. if you dont mind asking me, why do you want to move to Ukraine from USA ? I’ve spent 87 days in Ukraine in the last 180 since my first arrival. I’m flying back in a couple of weeks. I will arrive on my 88th day and will depart on the 90th day. Are there any rules stating how many days you should have left of your 90 to gain entry. Did you ever find out the answer to your question? I have the exact problem. I would like to know if I need a visa and a passport to go to Ukraine. I am a US citizen and I have a girlfriend that is living in Ukraine. Also if I was to live there for a year or more what do I need to do? I’m an Australian going to Ukraine. As far as I’m aware I can obtain a 15 day visa on entry. Is this correct, and if it is correct, how hard is it to extend my stay so I can stay longer than first expected. Yes it’s easy as at boris airport, just overstay and pay the fine before you leave at immigration before you leave. Can anyone suggest a company which provides inexpensive medical insurance to meet visa requirements? I am an EU citizen planning to travel to Kiev in June and during my stay I would like to visit Montenegro with friends from Kiev for 1 week then return to Kiev. Does my EU passport allow me to do that? I have a business visa. Is it a condition that a representative of the company who invited me has to come to airport and present himself at immigration to get me cleared? I fly in and out Ukraine a lot for my work (also work in surrounding countries). On my last exit out of Ukraine on December 31 it turned out that in the last 180 days I overstayed for 25 days. I payed the fine and the customs guy wished me a merry Christmas and a happy new year. I have to fly back into Ukraine on January 11. My question: am I allowed to do so? Hi, please could you tell me how much did you pay for the fine? Did you get back in on the 11th Fred and how was your fine calculated? I just came back to the States after my 90 day trip to visit my fiancé there. After arriving back we found out she is pregnant. Is there a way to get back as soon as possible and extend my stay after already leaving? I will be getting a job there soon and getting a work visa to stay long term, but until then i want to go back and be with her since she is pregnant. Any information is much appreciated. I am an Indian citizen that has a British resident permit for next eight months. Do I need a visa to visit Ukraine within the above mentioned time? I am Sri Lankan citizen. I am trying to find a way to get visa for Ukraine because there is no any diplomatic officer in Sri Lanka. The nearest one is in India but its not possible to go to India with the time I have. Is there any other way to get a visa. I am planning to go to Ukraine on a student visa. Do I need to show the medical certificate to the immigration? I had done my medical test on July 6th and I think its validity will be for two months. But I will be unable to enter Ukraine on or before Sep 6th (two months from July). Will I have any problems? Please do help me out. Thanks in advance. I am an European citizen, and I haven’t understood the 90-180 rule. I have stayed in Ukraine for 2 months (May-June) and then I left for other two months (Sept-Oct). Will it be possible? OR does it mean that in the 6 month period starting from May and ending at the beginning of November I will be allowed A TOTAL of 90 days, meaning I can stay just another month? When does the 180 days counting start? 180 days starts from the date of first entry. So if you entered on May 1 your 180 days will be up at the end of October. So if you’ve already stayed 60 days you will only be allowed another 30. Does anybody knows the email address or visa office that provides visa on arrival in Boryspil and Odessa airports? I’m from Mauritius and a Mauritian citizen. We do get visas on arrival but the the office is in Terminal B. International arrivals is in Terminal D. That makes no sense at all. However prior to my arrival in Ukraine, I’d really like to arrange with the officers as it’s a lengthy process. Thanks in advance. Hi. I can’t really help with your question. Visas on arrival are fairly rare. For example only 104 Mauritian citizens visited Ukraine in 2013 and no figures were recorded in 2014. I can say though that the Timatic database has changed. When I last looked in March 2015 it stated that visas on arrival were available for Mauritians at Boryspil and Odessa airports. It now says they are only available at Boryspil. I don’t know where you get the information from that there is an office where you get your visas on arrival. I’m presuming it is just a stamp in your passport that you get at the immigration desk. I very much doubt that it is as you say ‘a lengthy process’. The whole point of visas on arrival are that they are quick. Sorry I can’t be of much further help but visas on arrival are issued to just a handful of visitors each year, so I know very little about them. I recently arrived from Australia in Kyiv at Borispyl airport. It took 3 hours to get the visa on arrival. It cost $US21.00 for 14 day visa + $US60.00 for hotel which we didn’t need as we had accommodation supplied and had given the address, this was ignored. Longer visa not available, pay penalty for over-staying at airport bank on departure. What is the fine per day of over staying? I am Hong Kong citizen. I know that I can stay in Ukraine for 14 days maximum without visa. Also I can also stay in European countries like Poland for 90 days without any visa. Is it possible that if I leave Ukraine when I stay there for 14 days and then go to Poland, I spend one day to stay in Poland and then come back Ukraine again and can I still have other 14 days to stay in Ukraine?? I’m an American currently within the final week of my 90 days. I’ve been looking into means of extending my stay and thought I’d share some of what I’ve learned so far. I called the Ukrainian consulate in the US recently and was told is possible to extend one’s time while in the country through the Ministry of Immigration (not Foreign Affairs). Prior to this conversation I had heard to stay beyond 90 days would require leaving the country and applying at a Ukrainian embassy (say, in Poland) for a visa. The official I spoke with seemed to imply that getting a visa is a bit more tricky and is only practical if one is coming to study, marry, or work. He didn’t go into detail as to what one needs for an extension but he seemed to suggest it’s easier than getting a visa. Unfortunately, the one stipulation is you must apply before the last 10 days of your 90. I learn this with only 7 days left. As to the sub-legal means of staying, it sounds quite common for visitors (US at least) to overstay and only pay the 850 (about 40USD right now). I would be very interested to hear of any cases where someone was prohibited from re-entering the country after previously overstaying. It sounds as though the only trouble one will have is leaving. Does anyone know otherwise? That aside, as far as travelers who have two passports and might consider switching after a border trip, I have seen this work. A Canadian pensioner I know recently left and came back in the same day, leaving with his Canadian passport and returning using his UK passport. I have a bit of follow up. Despite the recommendation from the Ukrainian consulate in the US, the immigration office here was dismissive of applying for an extension. It was explained it mainly applied to very special cases,such as for pregnancy or other medical or legal complications. The official we spoke with said the penalty for overstaying is lax enough that if one wished to stay longer they only have to pay the 850 UAH afterwards. Though he did point out that it’s possible one could have issues getting back in. He did say that for 500 USD he could make something happen if need be. This is a bribe of course but it’s worth keeping in mind that until the mindset changes here, more often than not is going to be a back door. In short, all the business about getting visas and leaving and coming back in now sounds a bit excessive. Overstaying appears to be the accepted norm as far as the government here is concerned. I just got an apartment in fact, betting on that impression. If there are any hiccups trying to come back in shortly after paying an overstay penalty, I’ve not yet heard of any cases. Nick, thanks for your info. I’m in the same boat as you were before. My 90 days will be up soon and I need to stay in Ukraine longer. Is there a sub-legal way that I can do this? What is my worst case scenario? Do I need to go to Ukraine consulate in Kiev and make donation 🙂 to have all on the up and up? I think you know what I mean. Thanks for your help. Very much appreciated. I am a dual US/UK citizen. When I entered Ukraine, I gave the border guard my UK passport. He returned and asked if I also had a US Passport because he noticed I was born in US. I gave it to him and he looked through it as well. There was no problem, but I would not rely on switching passports, as Nick says. I am struggling to find relevant information regarding the need of a return/onward ticket on entering Ukraine. We have valid visas but are not sure how long we will be staying so have not organised return tickets yet. I know citizens of some countries do need to produce these (but not US/UK/EU). I am a New Zealand citizen and my partner is Australian – can you advise if we need to have a ticket showing our onward travel? I am an EU citizen, and I used to pay the fine when I stayed in Ukriane for more than 90 days. Paying the fine allows you to stay for another 90 days. Last time I paid was in January. But when I came out again today, I showed the documents proving that I had paid the fine, and the official told me that I do not have the right to be here, that I should not come back before 2 months. I asked him if the law had changed, he did not answer clearly. Do you know anything about the status / usual practice regarding fines now? What happens when you stay longer than 90 days? Did they change something recently? Thank you! Where do you pay the fine and can you take care of it at the airport if they notice you have stayed over 90 days? You pay the fine at a cash desk at the airport. I am fly from London to Georgia with a 3 hour stopover at Boryspil. I am flying with Ukraine International Airlines and travelling with an Australian Passport. Will I need a visa for the three hours? 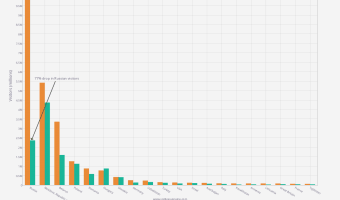 I had a look at Timatic, the database of visa regulations used by airlines. It says you can transfer without visa (TWOV) at Boryspil provided the transfer time is less than 24 hours, so you should be fine. I’d advise you to double check with Ukrainian International Airlines, though I suspect they will probably use the same database to give you their answer. No problem as long as you don’t exit passport control. It is normal for transit passengers in most countries. You are not classed as in Ukraine if you don’t exit passport control. There is plenty to do while you wait. I am Malaysian, already got my tourist visa to Ukraine. It stated in my visa that the visa is valid for a month but my length of stay is only for 14 days (as stated on the visa). Just wondering, can I stay for more than 14 days (if I really like to see more of the country) but still within my 1 month visa allowance? I’m sure you will be fine. I presume the length of stay just comes from the dates of intended arrival and departure you put on your visa application. I’m not 100 percent certain though. You should really telephone the Consular section of the Ukrainian Embassy in Malaysia to double check. Please post what they say here so others can see the information. I’m planning to visit Ukraine in June and don’t know how long I’ll be staying for, so plan to buy a 1-way ticket. I’ve researched the visa rules (I’m a UK citizen) so there’s no problem with that. However, as the maximum stay is ostensibly 90 days. Will I be required to show a return or on-bound ticket that shows I will not overstay 90 days? It doesn’t seem to mention it on the MFA website. Personally, I’ve never been asked to show a return ticket. In theory, they can ask you to provide proof of sufficient funds for your stay (and presumably to get back to the UK). Though in practice I’ve never been asked and neither have most people I’ve spoken to. I have been on your site, and Just loving it. Im planning to come to visit Kiev during next few week. Considering the current situation of Ukraine, is it advisable to travel to Kiev. And there is no page about yourelf on your website to know you more. Are you living in Kiev since long? By the way, I’m Indian, so reading by the comments, I feel there is some resistance towards Asian appearance. Kiev is safe. I’ve been in and out of Kiev since 2003. The city centre is the safest area. Boryspil International Airport is fine. I’ve been through hundreds of times and never had a problem. Few questions, if any, get asked. The racism question has been answered many times on this page. Personally, I think it is no worse than anywhere else. My advice for you. Do not go to Ukraine if you are Indian, Arab, black, Chinese etc. They are racist. Of course not everyone but most are. – When I lived in Kyrgyzstan, a visa was not necessary if staying for 60 days or less. So I would visit Kazakhstan after 7 or 8 weeks, and upon returning to Kyrgyzstan, my 60 days would reboot. I am guessing that Ukraine’s 90 days are instead cumulative in the 180 day period? – Perhaps I could apply for a Ukrainian visa through a consulate in Poland or Moldova, before my 90 days expire? If I understand correctly, I’m not allowed to apply for one when I’m already sitting in Kiev. But a road trip is always nice. To be honest we are not Ukrainian visa experts. We give the basic rules that will apply to most tourists. If you want to know anything more complicated you are best consulting an immigration expert for a definitive answer. You should note that this was comment recently posted in the Kyiv Expats Facebook group. An update on visas and fines. In case someone is interested. The fine for overstaying your 90 day limit is 850 hryvnias. No matter how long you have overstayed or which country you are from. Can be paid through a bank at the airport. It ‘excuses’ your 90+ days and sort of cancels the whole fact of the overstay. They let you back straight away without questions and you have new 90 days. Each time you are leaving the country within this new 90-day period you should carry the bill for the fine you paid so that they know you are ‘untouchable’ for a while. Can be done unlimited number of times. From the comments left by fellow expats it appears to be how the law is being applied in practice. However, most responses to the comment are saying that it is not in strict compliance with the actual wording of the law and are advising caution. I read the “editor says” from March 31, 2015 about overstay. Is this still the case now in May 2016? Thanks. Posvidka is in ukriane and I need to extend visa of ukriane. Can I extend my visa on arrival. I am a Mexican citizen and I am currently in Israel. Is it possible for me to obtain a visa to enter Ukraine at the Ukrainian embassy in Israel? I don’t see why they couldn’t issue a Ukrainian visa to a Mexican citizen at the Embassy of Ukraine in Israel. You would be best calling them or visiting to check first. The phone number is 9723 605 9921 and the address is 50 Yermihayu Street in Tel Aviv. There is however a note on their Facebook page. My understanding of the translation is that visa processing is suspended from March 16 to 20 due to the installation of a new computer system. I’m planning to go to Ukraine and I saw that I’m required to buy a valid health insurance to get in the country. I’d like to know if it’s possible to buy this insurance at the border or if I have to get it in advance. It is law as far as I’m aware, but I think it is one of those laws that aren’t ever enforced. I’ve personally never been asked to provide proof of it when passing through immigration control. It is a good idea to buy it though, because if you do have an accident, you really want to get the best possible treatment. In Ukraine, that means private treatment. I’d buy it from a company in your own country. Travel insurance is usually pretty cheap. I would like to know the visa rules for Indians visiting Ukraine for a month. The table above clearly states that Indian citizens visiting Ukraine need a visa. There’s also a link provided in the text to the Ministry of Foreign Affairs of Ukraine website. Again this states that Indians need a visa. Indian, Bangladeshi, Nepalese and Sri Lankan nationals who are visiting Ukraine for one month are to possess the financial assets equal to 23,520 UAH upon their arrival. It goes onto state they should also be in possession of a return ticket and proof of hotel booking. I am a retired Canadian wanting to stay with my girlfriend on a long term basis (2-3 years). Is there any way of doing so legally without doing border runs? Please read the text above. As clearly stated we are a tourist website and do not provide immigration advice for anybody other than those visiting Ukraine for short-term basis. However, I will say that border runs won’t do you any good. You’re allowed 90 days in any 180 day period. Leaving the country won’t make any difference to this. If you want advice about staying long term I suggest you join the Facebook group ‘Kiev Expats’ and post the question there. There are a number of members in the group that provide immigration advice for foreigners wishing to settle in Ukraine on a permanent/long-term basis. I have two passports, Canadian and Italian. I asked the Ukrainian immigration officer in Dnepropetrovsk if I could enter Ukraine as a Canadian for 90 days and then leave. Reenter as an Italian for another 90 days and then leave and so on . He said yes because because I would be like two different people. I tried to call the Ukraine consulate in Canada with the same question but they practically hung up on me. I don’t know if this is true about being allowed to enter with two different passports or not being just the opinion of one immigration officer in Dnepropetrovsk. I really don’t know. It would make sense though. I know of one guy who has committed a few crimes in Ukraine and is wanted by the police. He never has a problem returning because apparently the police systems and immigration systems are not linked. I was told this by a member of the security team at the airport. It could be the case therefore that their system can’t tell if somebody has two passports. I’m just guessing here though and don’t know for sure. When they carry out checks on frequent visitors they seem to look at the dates on the passport stamps rather than look at the computer screen, implying to me that it is a manual process. The only way to see for sure is to try I suppose. I flew into Ukraine for my first time with my USA passport in August 2013. I was in Odessa and Crimea for my first 3 months. I met a Zhitomir girl I liked a lot and decided to stay in Ukraine to develop our relationship. I ended up doing the Moldova border trip twice and stayed 7 months total, before leaving out of Kiev airport. When I left Kiev in February 2014 they fined me (850 UAH) for overstaying 90 days, but did not want me to miss my flight. The Moldova runs were a waste of my time, they did not accept the stamps leaving Kiev. I returned June 2014 via train from Warsaw after 90 days out of Ukraine. I stayed until October 23rd and they again fined me the same amount. Does anyone know what borders to use if I want to return to Ukraine in less than 90 days? My personal advice if you like Ukraine so much is to just stick to the rules. As you’ve found out you may find a lax border guard but there’s no guarantee that you’ll deal with the same one or similar next time you enter/exit the country. The rules are generous. You can effectively stay half the year without residence. Why not just stay 90 days then do something else for 90 days? If the rules of staying in Ukraine are 180 days total, why someone has to go to the Moldavian border and give bribes? If the rules are “180 DAYS”, why I can’t, after 90 days, go through the Moldavian border (or any other border for that matter), do some shopping in Moldova, and then cross the border back into Ukraine and stay another 90 days. We are talking 180 days total, are we not? So 90 days are not an issue if you leave the Ukraine. So why should a border guard care why and when I am going to use another 90 days? Could you confirm 180 days and if so why in the world I should worry? After 90 days I can travel to see Moscow for a few days and safely and confidently cross the border into Ukraine again to get my magic number 180? Please clarify. Thanks. The rules are not 180 days in total. Citizens of most countries are allowed 90 days in any 180 day period. So if you’ve stayed in Ukraine for 90 days you need to leave and not return for another 90 days. I am a American traveling to Ukraine and I will be staying in Kiev for 5 days. I know I won’t need a Visa, but am I required to purchase travel insurance for the duration of my stay? Any help on this matter would be appreciated. Thank you. The US Department of State advises that under Ukrainian law all foreign visitors to the country must have valid health insurance. I’ve been unable to find the same information on any Ukrainian government website but that doesn’t mean it isn’t true. I’d say from experience that the law exists but hasn’t been published on a Ukrainian government website. I don’t believe they routinely check health insurance coverage at the border/airport. I’ve never been asked and I’ve never heard of anybody else being asked. I suppose if they want to refuse you entry for some reason it could be one of the rules they pull out of the bag. There are also rules that travellers need to show proof of sufficient funding. Again, I’ve never heard of these actually being enforced. For what it is worth though, I’d recommend you purchase travel insurance for your trip to Ukraine. You won’t get good treatment in Ukrainian hospitals and in theory would be asked to pay before receiving care. Travel insurance for 5 days in Ukraine will cost you next to nothing. 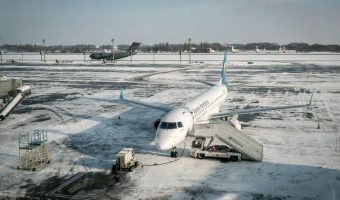 I just returned from Ukraine a week ago and when I entered, there was no proof of insurance requested nor was there any proof of financial proof requested by the Ukrainian customs agents at the airport in Odessa. I actually had a surgery while I was there and can tell you that the doctors were very good and thorough, but the sight of the hospitals will scare the hell out of you. Over all, wonderful experience and I am going back in May of 2015 for another visit. Can’t wait!!! Thanks. As noted in the text I’ve never been asked either. I suspect it is a rule that is only enforced if they don’t like the look of you. I have valid visa for Ukraine but my immigration card is not updated. What would be the impact while visiting Ukraine? Can I visit the country without an immigration card? What do you mean by immigration card? What country are you from? You need a passport and the possibly a visa (depending on where you are from). I’m a British citizen and am approaching my limit of 90 days in Ukraine. I’ve been told I can go to the border with Moldova and get a new stamp that will enable me to stay longer if I give them a gift. I love it in Kiev and want to stay. Do you think I can bribe them? I can’t really comment whether a bribe will be accepted. You certainly won’t be allowed back into the country legally. You may as you say be able to bribe the particular guard you will see at the Moldovan border. However, when you eventually leave Ukraine you’re unlikely to see the same guard again, even if you exit at Moldova (which I suspect you won’t). They are definitely checking stamps now to see that people aren’t extending their stay above the limits. If you love Ukraine so much I’d just stay within the laws and do something else for a few months. It’s not worth getting banned for. What is passport control like? Are they corrupt? I’ve been through passport control at Boryspil perhaps over 100 times. I’ve never had a problem. They’re very quick. I can’t even recall even being asked a question. It’s nothing to worry about. You won’t be asked to pay a bribe to enter the country. I can’t speak about entering by land or via another airport, but I’ve not heard any complaints. I think there may be a certain level of corruption at borders but I think it’s pretty safe to say it’s only a problem for those importing goods on a commercial basis. I have had numerous extended trips to Ukraine. I find it more civilized than North America where I was born and raised. I am currently working on moving and remaining there. Why? Proper health care, great society, everyone makes you feel at home, it is a comfortable society. The people have to work hard to survive but they enjoy their time off more and enjoy life more than over here. Never had any trouble entering and only 1 time leaving did they want to check my bags. They were very open honest and even apologetic about having to do so. I’ve been told by grandparents that somewhere down in my heritage I have mostly Hungarian and Ukrainian heritage. Man do I want to visit there and see the places and people. I’ve just started to re-learn the language and hope one day to be able to move there, but I couldn’t move there for work so maybe move to the edge of the Ukraine so I could work in neighbouring area? I visited the Ukraine for the first time and I felt at home. The people were so friendly and a pleasure to be around. I made many friends. This is one country I would love to live in. I visited Ukraine 3 times in 2010 and stayed 2 or 3 weeks each trip. Bought insurance each time and was never asked to show it. Never had a problem at customs each way at all. I love it there, summer or winter. The people are from another place and time. They have a certain quality we have forgotten here in the West. Wish I could live there and make the same money! I had more trouble leaving the country than I did entering. When I landed in Kiev, there was a desk where the checked your passport, and then there was a hallway with a white line, that basically said "these items are forbidden, if you bring them into the country, you’re in trouble". Nobody searched my bags and nobody even looked at me. I think there were maybe 3 customs officials standing watching people walk by and they never stopped anyone from my entire flight, and it was a fully loaded 767. Upon leaving, they x-rayed all my bags, but even still, it was nothing compared to entering the US. When I went through US customs, they opened my bags, and swabbed for drugs and explosives. Nov 2009 – This does indeed seem to be the present situation. I even went to my local OVIR office and they said that they couldn’t care less how long EU nationals stay provided they obey the law and don’t work. I have been to Ukraine 3 times in the last 7 months and found no problems with immigration or customs. Same when leaving. As a regular traveller to the Ukraine I have had no problems at all. It is a lot less officious than the UK. In 2007 the government restricted non-visa stays for residents of the European Union etc. to 90 days within a 180 day period. However the Kyiv Post reported on 13/3/08 that this rule is not being enforced and foreign ‘residents’ of Kiev nearing the 90-day limit are leaving Ukraine for a few hours and re-entering with no problems (aka border runs). Boryspil International Airport is the biggest airport in Ukraine. Find out about destinations served, airlines operating here, airport facilities, and how to get there. The smaller of Kiev’s two passenger airports. Used by low cost airline Wizz Air.